Are you having a hard time slowing down and letting go of your problems, fears and anxiety? Do you feel pressured to conform and live somebody else’s life? Are you always putting others first, but neglect to take care of yourself? In ‘Simplify: 9 Practical Tips For Nurturing Your Soul – How To Slow Down, Let Go, And Live An Absolutely Awesome Life’, personal productivity coach Chris Morgan explains why so many of us fall into the same life traps. 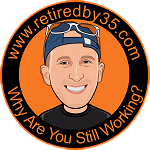 Most importantly, the author discusses strategies and methods to deal with those life traps, and shares tips and tricks how to avoid them altogether. 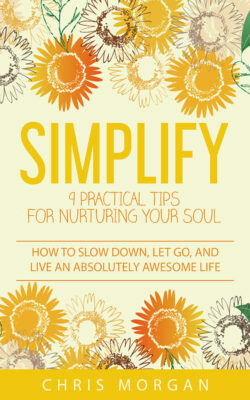 “Simplify: 9 Practical Tips For Nurturing Your Soul – How To Slow Down, Let Go, And Live An Absolutely Awesome Life” is a straightforward, easy-to-read book designed to improve readers’ life experience. Whether you are a mompreneur, an online business owner, or a busy stay-at-home mom, this book offers plenty of hands-on advice on how to de-stress, slow down, and take better care of yourself.